Parent-led childcare puts local parents at the helm of organising and delivering a local childcare service to help make sure families’ childcare needs are met and help keep childcare costs low. From planning out what the childcare service will look like to sitting on the management board and recruiting early years professionals, parents play a key role in creating a service that works for their neighbourhood. Parents can also get involved in the day to day tasks of delivering childcare to help keep running costs low like working alongside early years professionals with children, helping out with preparing food, tidying up, providing some admin support and organising fundraising. Parent-led childcare has the potential to help parents access high quality childcare that supports them to work and boosts their children’s learning, particularly in areas where parents are underserved by the childcare system. Parent-led childcare forms a large part of childcare systems in countries like Canada and New Zealand. We teamed up with the New Economics Foundation to find out whether parent-led childcare can work for the benefit of families in the UK. Our parent-led childcare programme is currently in development. We post our latest milestones and updates about how you can get involved here. Pilot - ready to start! We are currently looking for local delivery partners interested in working with us to setup parent-led childcare pilot sites where we can put our research learning into action. Over the coming months, we will closely monitor and evaluate the outcomes of parent-led childcare pilot sites for children, parents, childcare professionals and the community more widely. This will inform the development of parent-led childcare and help support further roll out over the coming years. If you are interested in working with us to develop a parent-led childcare pilot site, please email info@familyandchildcaretrust.org. We are particularly interested in working with organisations that have the potential to use premises for childcare, share our vision and are committed to supporting local communities. For six months, we gathered feedback from parents and professionals about parent-led childcare and crunched the numbers on how it could actually work. We also looked at the handful of childcare settings being successfully led by parents in the UK to see whether they could be expanded. The answers from this feasibility study are promising: there is a strong appetite for this type of childcare and the operating model we have developed can work in various settings. We have created a business planning and financial modelling tool that can be used by groups of parents and other local stakeholders to adapt our parent-led childcare model to work for their communities. The model can be adapted by the number of childcare hours delivered, the number of weeks operated per year, the number of children attending and the qualification levels of staff employed. This means that parent-led childcare can be tailored to make sure it genuinely works for local parents and their children. Many of the low income parents we spoke to saw increased involvement in the childcare their children receive as a major benefit, with financial savings a secondary issue. We know that parents sometimes struggle to trust childcare services. Parent-led childcare brings parents into the heart of childcare services which can help parents to see first hand the benefits of childcare for their children and learn about early education and home learning. The Family and Childcare Trust, New Economics Foundation and parents from Scallywags - a London based parent-led chidcare setting - spoke with BBC World Hacks about the benefits of parent-led childcare. BBC Radio 4's Women's Hour invited Megan Jarvie from the Family and Childcare Trust and Lucie Stephens from New Economics Foundation to talk about parent-led childcare. The One Show spoke with Megan Jarvie, our Head of Policy and Communications, and visited Scallywags Nursery in Tower Hamlets to watch parent-led childcare in action. 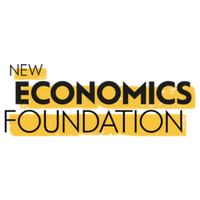 Nursery World explores the potential of parent-led childcare with the Family and Childcare Trust and New Economics Foundation.